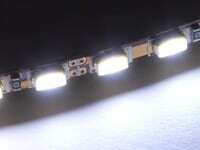 Most of our LED strips are waterproof, bendable, thin, and ultra bright. 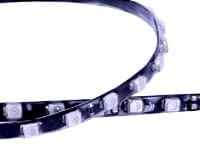 You can fit a thin LED strip into a tight groove or channel to light up a sign, artwork, or vehicle. 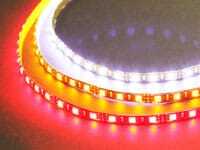 The most popular flexible LED strip is our LED Ribbon Strip which has wires/plugs pre-attached, and can be daisy-chained to other strips. 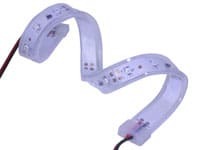 Its also available in a Waterproof Ribbon LED Strip option. 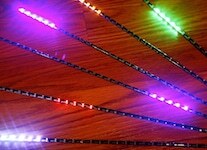 You can buy a single color LED strip, or if you want multiple colors, choose our RGB LED strip. 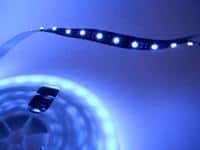 Oznium customers use flexible LED strip for car lights, motorcycle lights, home & architectural lights, and even industrial or marine applications. Don't need flexible? 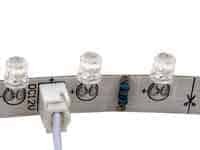 You may also want to check out our LED Tubes and LED Bars. Bright! 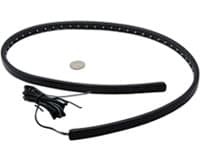 30° Flexible in all directions $0.95 Wheel wells, under car, under the dash, trunk, accent lighting for the home. Plugs into each other with waterproof quick-connect Interior and exterior auto lighting, motorcycle lighting, boat lighting, home lighting. Plugs into each other with waterproof quick-connect Sign making, home lighting, bar lighting. Bright! 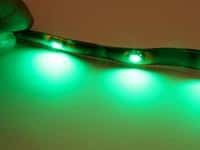 120° Super thin, very flexible, easy install $1.25 Interior and exterior auto lighting, motorcycle lighting, boat lighting, home lighting. 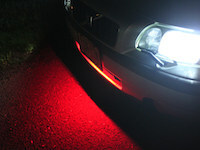 Bright 120° Super durable $1.08 Under car, engine bay, outdoor accent lighting. 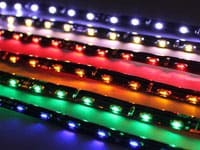 Most of our LED Strips are available in "million color". 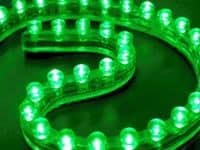 Groups of Red, Blue, and Green LEDs can combine at varying brightness intensities to produce a smooth fade through the full color spectrum. Unlike the single color strips which use just 2 wires (a power and a ground), the million color strips use 4 wires (3 for each of the colors, and 1 for either a common power or ground). These 4 wires are hooked up to an LED controller.